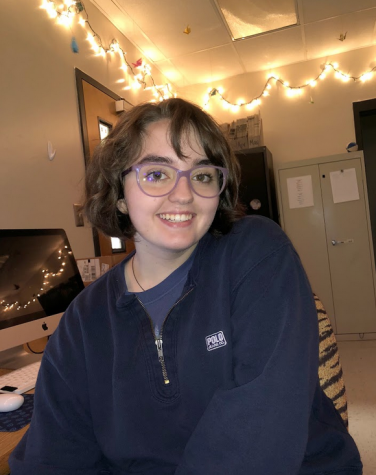 NC Magnet senior Morgan Brown has written and photographed for The Chant since 2017 and currently serves as the site's News Editor. In this role, she examines, edits, and supervises every story in The Chant's news output, forming an essential part of the paper's operation. She previously worked as the newspaper's Ad Manager and Public Relations Manager, coordinating advertising and fundraising efforts across various industries and platforms as well as working to boost the sites involvement in social media. At last years Georgia Scholastic Press Association awards Morgan won Superior Caption Writing by herself and Superior Opposing Opinion in conjunction with fellow staff member Isabella Keaton. As devotee of the works of George Orwell, Jane Austen and other influential early literature authors, Morgan plans to major in English at Georgia State University to spread the word of the classics as a literature teacher. In her free time, she enjoys painting, reading, shopping at thrift stores, and spending time with her boyfriend, Jacob. With her cats Shadow and Tie in tow, Morgan shows off her eccentric personality with her endless funny voices and quirky jokes. Her love for art, including the digital form, is evident in her blog “Pixels and Paintbrushes” where she shows off her paintings skills and the interesting video games that consume her time. She regularly displays her paintings and advocates for the expression of individuality and hopes to show students that being a little weird is a good thing.